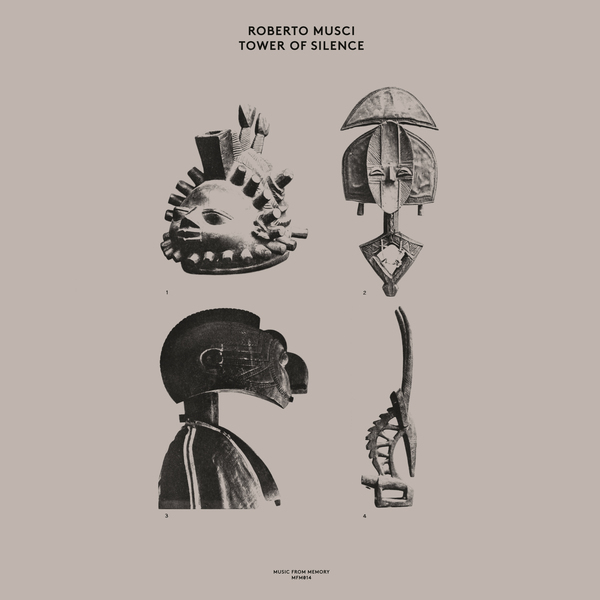 The beautifully enchanting Tower of Silence is Music From Memory’s penultimate release of 2016, compiling a number of hard-to-find releases by Milanese artist Roberto Musci, crammed with worldly fusions of far-flung instrumentation, scales and vibes absorbed and transcribed from his travels across India, Asia and Africa between 1974-1985. Lifting tracks from Musci’s debut album, The Loa of Music as well as a number of collaborations with Giovanni Venosta, including their UK Grammy-nominated Water Messages on Desert Sand, this set forms a sort of oneiric travelogue or mystic reminiscence of Musci’s genteel journeys diffracted thru the prism of then-cutting edge technology. Throughout Tower of Silence he effectively speaks in his own musical tongue, consolidating a world of sonic dialects into his own language, from which he spins a range of mesmerising yarns encompassing synth-fringed folk music, psychedelic drift and ritual atmospheres, which, when decrypted, find strong parallels in the related vocabularies of Coil, Jon Hassell, David Toop or Rex Ilusivii, ultimately hinting that they were all sourcing from the same rhizome of mycelia.